The latest thing to jump off my needles is a project for Lo that I've been meaning to knit all winter. 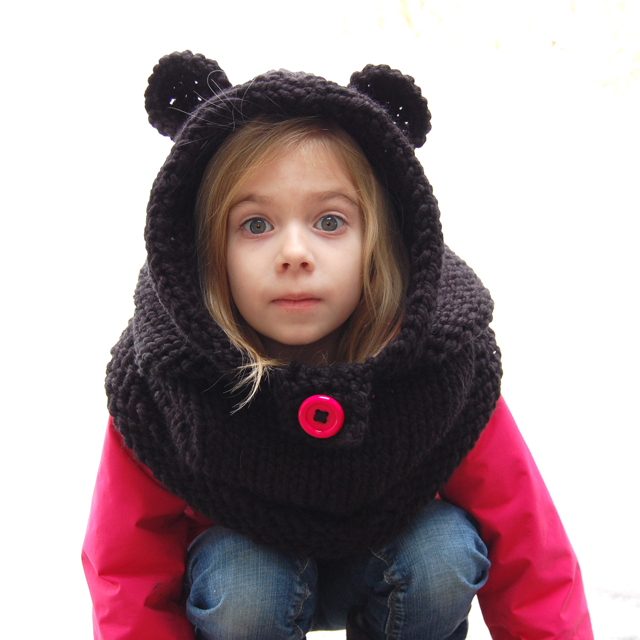 This is the Burton Bear hoodie by Heidi May. I seamed it up today and found a big pink button to sew on that matches her coat. 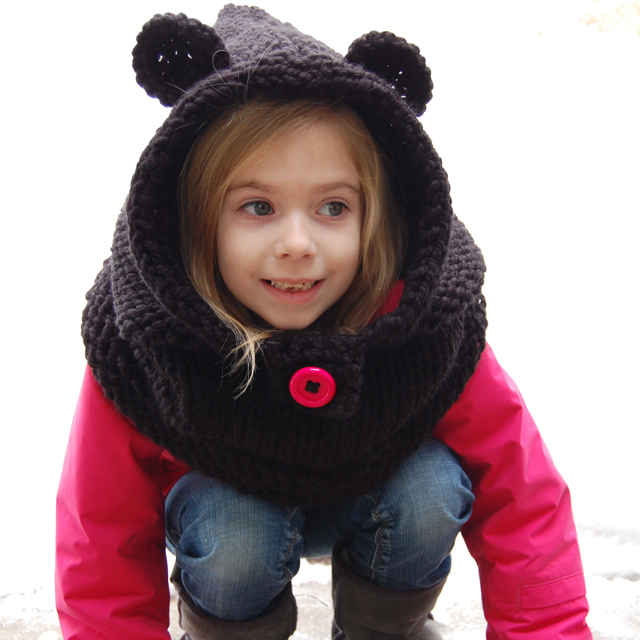 I knitted the 'child' size and it's a little bit big for this girl. But it's okay – room to grow! It was a super speedy knit and really well-written. Best of all, Lo loves it and can't wait to wear it to recess. 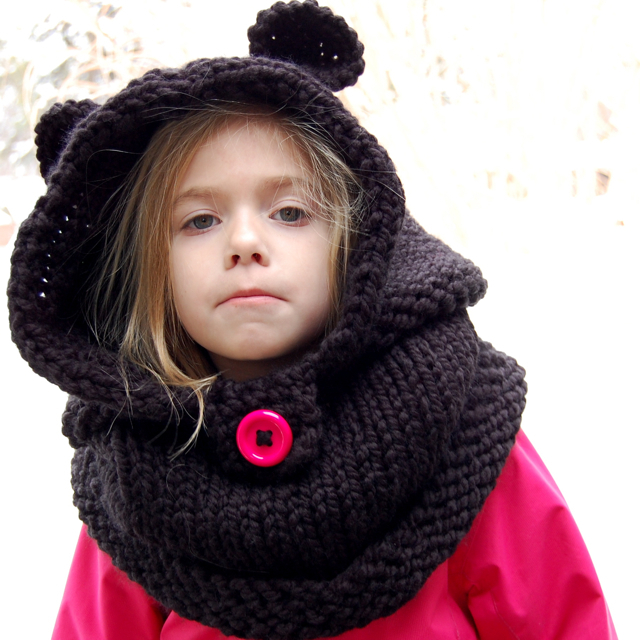 Since we've been slammed with snowstorms lately, this will be sure to keep her a little bit warmer out there. 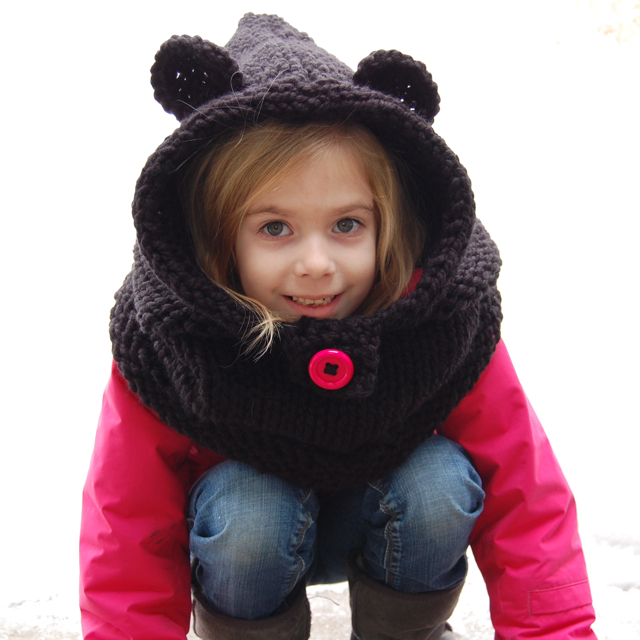 I knit that for my (adult) sister for Christmas and kept meaning to do one for Iz as well. L is adorable in it!